South Lake Union is one of Seattle’s most invigorating hubs of activity. You’ll often find people sunbathing at Lake Union Park, or renting kayaks and paddleboards, and exploring the quirky houseboat neighborhoods on the lake’s shores. We recommend taking a day to soak up all it has to offer, including sticking around to catch a sunset with Space Needle views. Take your pick! Whichever vehicle you choose—kayak, paddleboard, or sailboat—you’ll love the freedom of being out on the water, especially if you go on a rare, clear Seattle day. Rates range from $18-$24 per hour, which gives you flexibility to explore the southern shores, or round the lake in full, if you’re looking for a little more aerobic activity. Grab a full-day whale watching tour package with Kenmore Air. 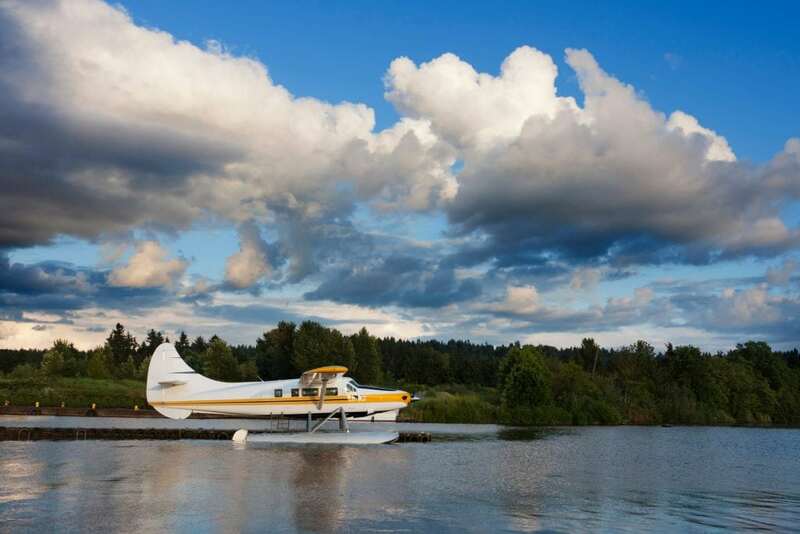 The $369 package includes a scenic 45-minute seaplane flight from Lake Union to Friday Harbor Marina on San Juan Island. Flights run March through October, leaving Seattle in the morning and returning in the early evening.